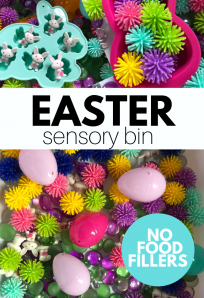 I am always searching for more preschool science activities to share in my classroom science table. 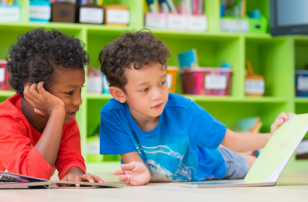 With 2 and 3-year-olds I keep the science very basic, but I still want it to be engaging and feed my students’ curiosity about the world around them. 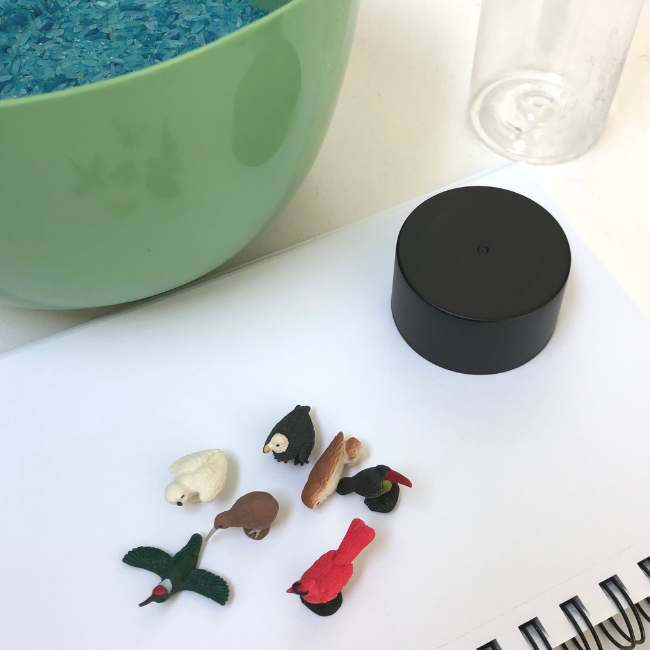 This simple bird watching activity isn’t really watching live birds, but after introducing the bords with this discovery bottle, we can go out to the playground and search for real. If we are lucky, we will spot a bald eagle circling on a clear day. 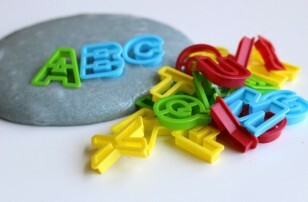 Here is how you can make this for your preschool class. Gather your materials. You will need a discovery bottle ( you can buy them at Micheal’s), some filler. 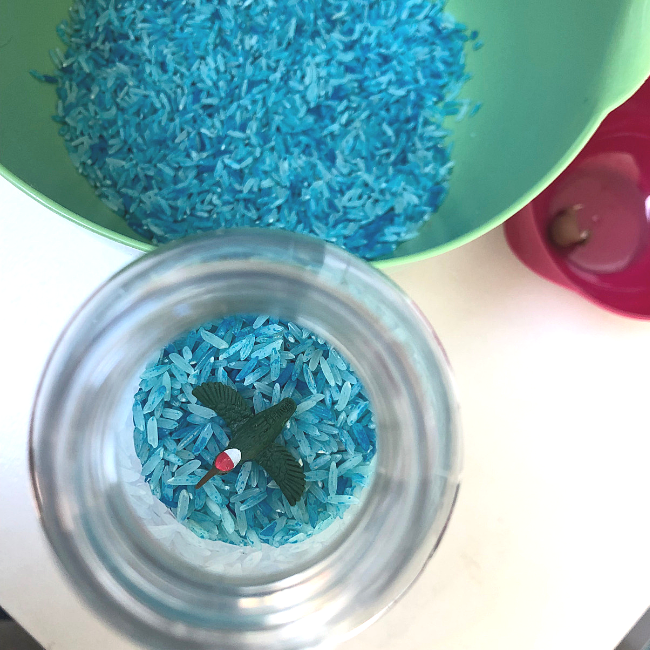 I chose blue dyed rice to look like a blue sky, but I think birdseed would be cool too. 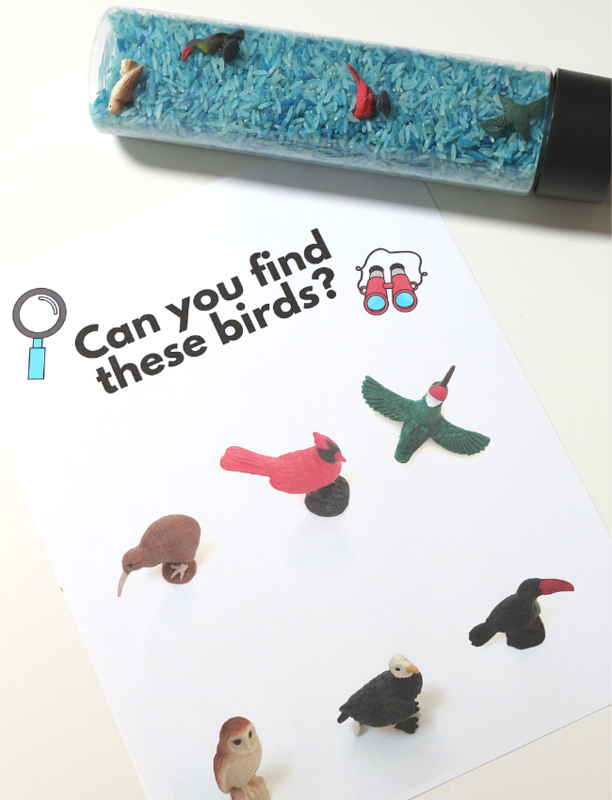 You will also need some small bird figurines like these Good Luck Minis by Safari and a magnifying glass. I like making mats as guides so that little eyes know what to look for in the discovery bottle. 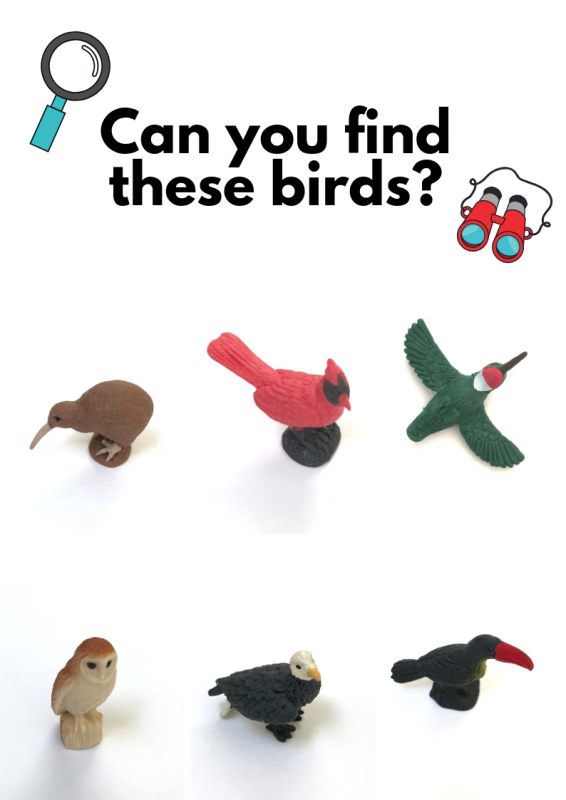 I made one that you can print out below for you to use with the same bird figurines. If you are using other figurines, start by taking photos of the birds one at a time on the white background. No need for a fancy camera, I used my iPhone. 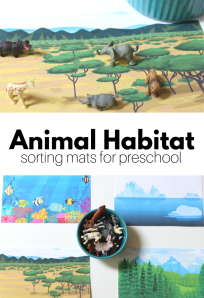 Using an online photo editing site like canva.com you can easily make your own mat guide. PRINT the free mat here. Next, fill the bottle with the rice and birds. Secure the top with some glue and let dry. That’s it. 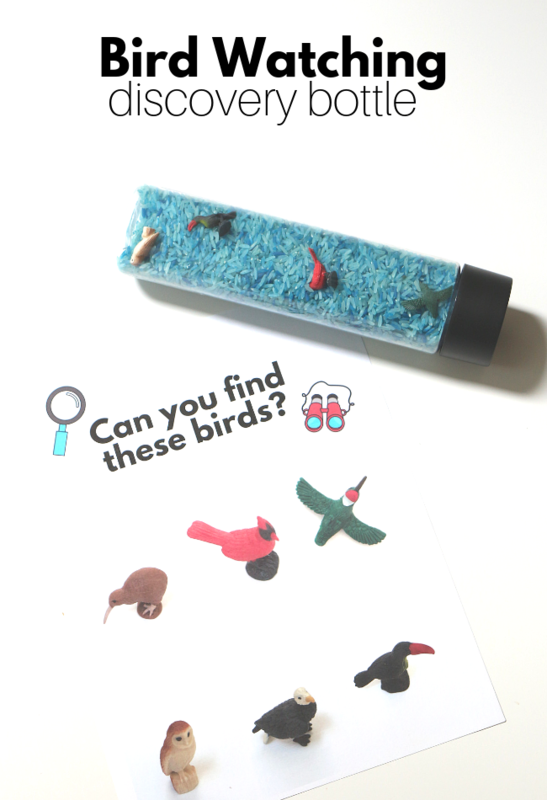 Now you are ready to pop the mat and bottle in your science center and invite little learners to see what birds they can find first in the bottle, and later outside. 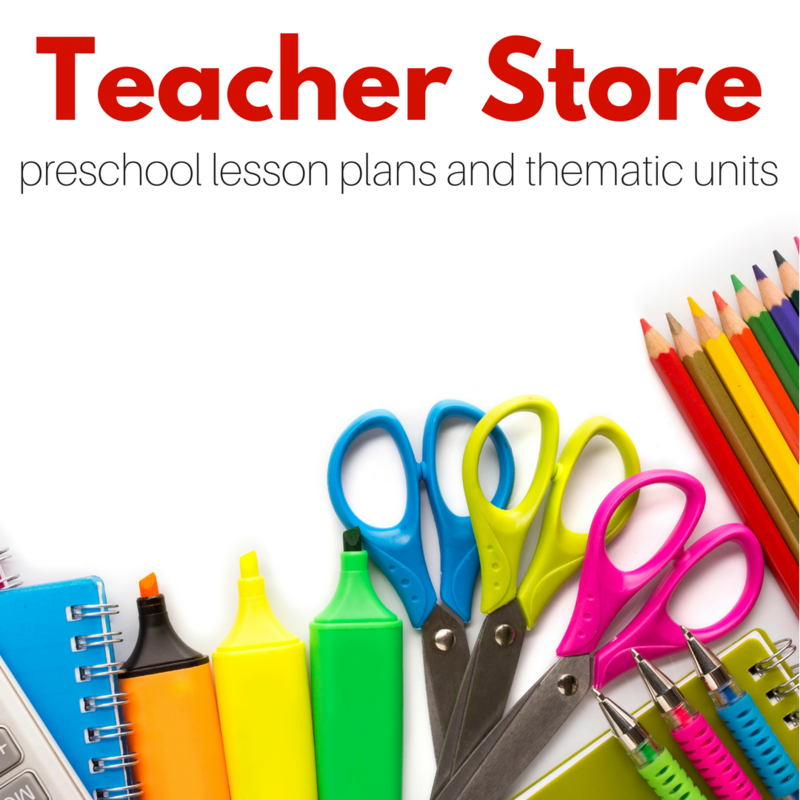 For more preschool science activities check out this great list. Birds by Kevin Henkes, illustrated by Laura Dronzek is stunning. I love this author, but this book is absolutely about the pictures. The cover is beautiful, but there are pages that I just wanted to look at the way I look at paintings at a museum. 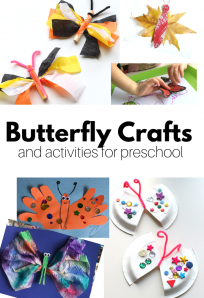 The book is perfect for toddlers and young preschooler, it’s nonfiction, simple and has a great flow. The colors are so vibrant I would bet that infants would dig it too! Awesome awesome awesome! 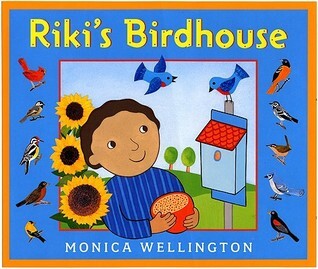 Riki’s Birdhouse by Monica Wellington is a lovely look at how children can care for animals even when they are wild, the change of seasons and the circle of life. 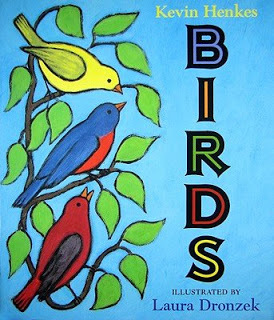 I love this book because most children have experience with birds, are familiar with nests and birdhouses and how birds hatch from eggs. 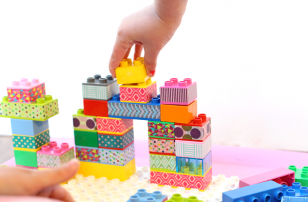 This prior knowledge is built upon with this lovely beautifully illustrated story.